Roger Goldring had a great time playing at this level for the first time. Overall Roger played to his seeding, which was a good effort because he suffered terribly with an upset stomach. He won one of his block (best of three) matches and two other games, and so contested the Plate event thereafter. In the Plate block (19-point single games), Roger won three out of six, so qualified for the main knock-out of that section where he won his quarter-final, so reaching the semi-final, but was there eliminated by Egyptian Samir Khalil. 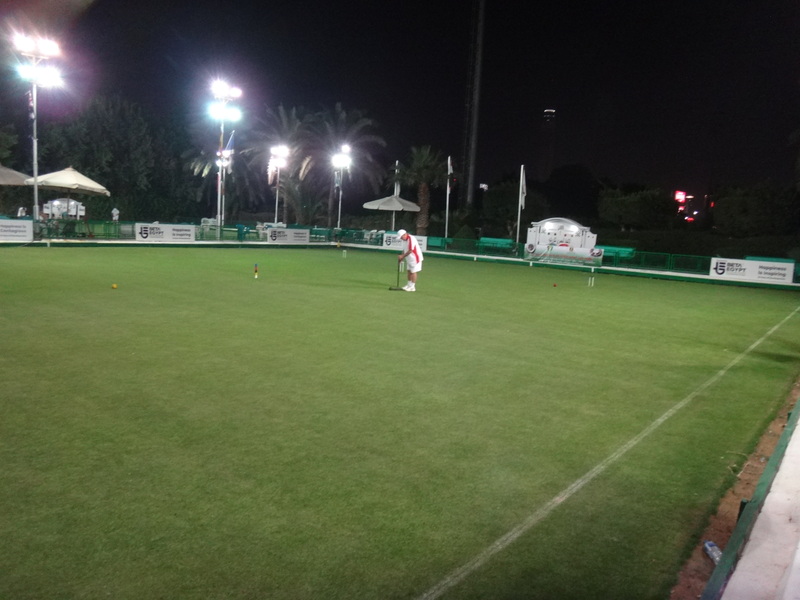 Roger found the atmosphere unforgettable, with the friendly Egyptians, the sounds of Cairo always present, the regular chanting of the call to prayer in the distance, the playing by floodlight late at night – all so haunting, so memorable. Roger was with a party of nine from the UK, with a total of 48 players from around the world. Of the nine, top seed Stephen Mulliner got to the semi-final (after a fabulous turn-around victory in his quarter-final), where he just got beaten by the Egyptian lady player Hanan Rashad. The latter then went on to win the tournament. A fabulous day for the ladies in our sport!